This week’s French Fridays with Dorie is cook’s choice. I got my book out and picked out Dorie’s Perfect Party Cake! I had a few hours to myself! That never happens! I had all the ingredients! That never happens either! I danced in glee as I planned to bake a cake while watching Water for Elephants. While searching for the recipe for this week’s cook’s choice I had a few books open at the same time and I picked a recipe from the wrong book! 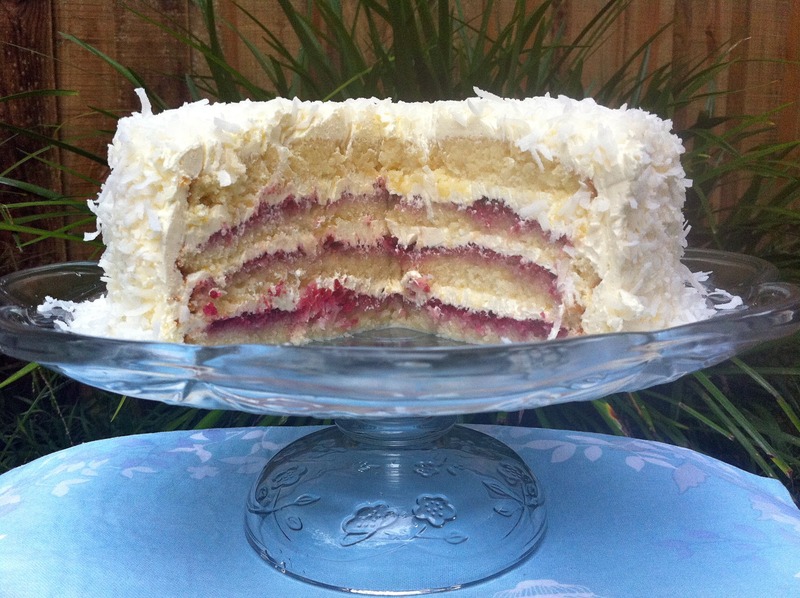 Dorie’s Perfect Party Cake is actually from another Dorie Greenspan book… Baking-From My Home To Yours. I got carried away watching Water for Elephants while texting a colleague trying to wrap my head around foot fetishes for an upcoming session (what can I say… work hazzard!). I lost track of the time and took the cake out earlier than I should have. I was convinced my efforts had been wasted! But I decided to persevere with somewhat lowered expectations. 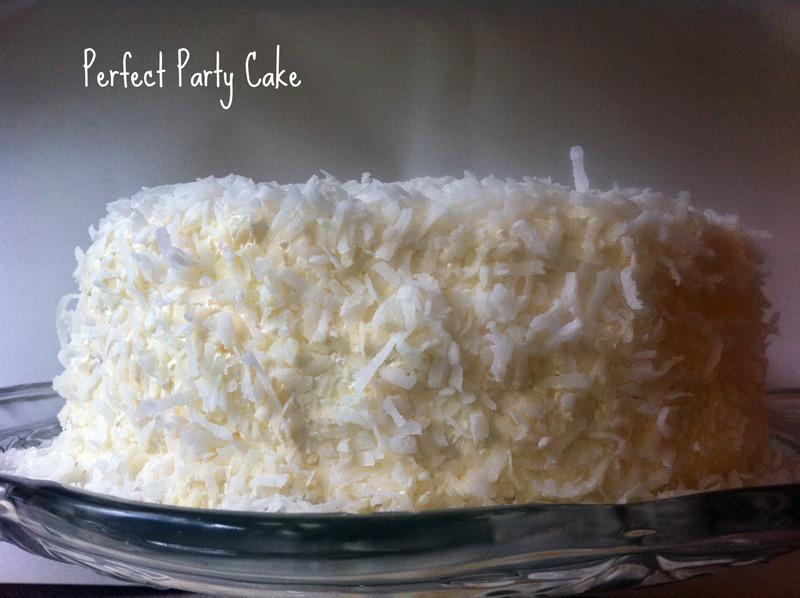 Dorie’s Perfect Party Cake actually turned out… well… Perfect! Can’t wait to see what the rest of the French Fridays with Dorie group picked for their cook’s choice recipe! Tags: baking, cakes, cooking, food, french fridays with dorie, recipes | Permalink. That looks delicious! Wow, I’m now wishing I had made a dessert this week. I have Dorie’s Baking book and have eyed this cake recipe on many occasions, but somehow still haven’t made it. Now you actually have me considering it for next week. That really does look just perfect. Wow…that looks delectable! I am so happy to see all Doristas doing something nice for this week cook’s choice. I have bookmarked this for a friend’s coming birthday 🙂 thanks for trying it out for us 🙂 Have a nice day! Well *I* also have the baking book and will definitely have to try this out. A most happy accident I say!!! So cute! I was thinking when I read the title that I didn’t remember this recipe in the dessert section because I probably would have chosen it! No matter – it is still a Dorie recipe, right?! 😉 It looks so beautiful and it does look like the perfect party cake. Lovely job! That looks like a totally awesome cake! I love the coconut covering! Lovely cake. There are some amazing recipes in Baking – can’t blame you for searching there! Hehhehe, I was wondering where that recipe came from…. 😉 Still, it’s a recipe from Greenspan and the cake certainly looks stunningly amazing. I want a slice too! So glad you enjoyed some me-time!! What a spectacular cake!! I never got to making this with TWD, but now I will have to. It’s perfect for the holiday season! Beautiful! How funny. I saw your post title and didn’t remember it and thought…is that French? But then the Vietnamese soup wasn’t French.. and then I realized I had the other book too. But boy this looks quite tasty…even if it isn’t French. It was cook’s choice. This looks really delectable! And very indulgent! I’ve been thinking about the baking book, and your photos convinced me to go ahead and order it. Beautiful and wonderful for indulgent days! This truly is a perfect cake! And, of course, I have the baking book, too! I think this would be just the thing for Christmas dessert! It certainly looks delicious. It’s the perfect party cake. My husband has gotten his birthday in two months and I’m putting this one on my list to make. Hope it will be as good as yours. Don’t you love it when you think its gone wrong but turns out great. Looks yummy! What a gorgeous cake! I just love all of the layers! Looks lovely, Sanya! I’ll bet a lot of the Doristas have both books, so you’ll be tempting us all to try this one. How was Water for Elephants? I loved the book, but haven’t seen the movie. I can’t wait to try this cake. Yours looks wonderful! LOL, well it looks great!!! 🙂 It was still a Dorie book so how far off could you really be?? 🙂 I’m working on a cake right now and every frosting has fallen through and now my whisk has broken, so I know about things going well and ingredients being available – its divine! It looks great! 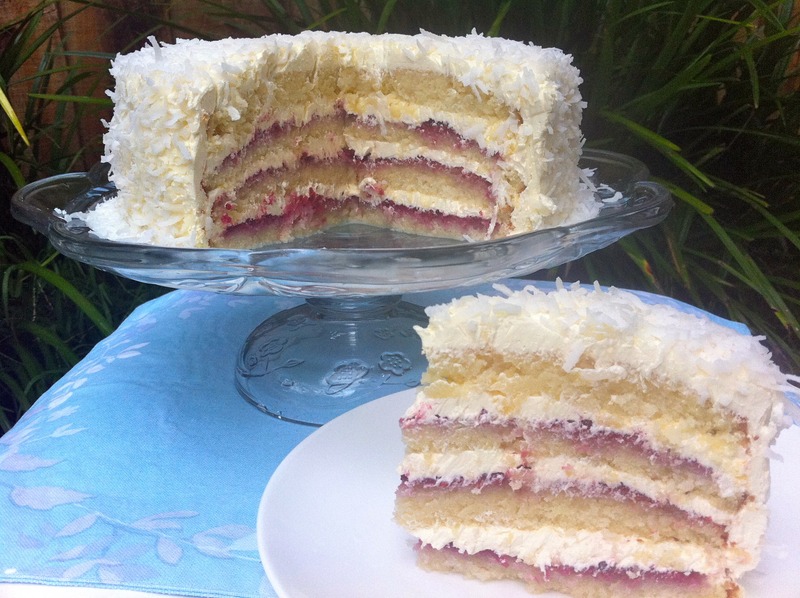 I don’t do a lot of baking but I made a coconut cake recently and I have to say that it is the perfect cake for entertaining. I need to check this one out! Great work.